The best part of planning a custom log cabin? It’s the unique opportunity to create room for everyone you love and all the things you love to do together! Log cabins attract family and friends like amusement parks attract kids. Build one and they will come! After a sunny long weekend full of food and family fun, I’m looking back on the way we celebrated the most recent holiday. Road trip? No. Resort vacation? Nothing like that. We stayed home and welcomed waves of family for a staycation. Three generations in winter boots and coats arrived in waves to eat, drink and play in the snow. This is our cabin—but it’s also where we live full time –and our family loves to join us here. With the newest long weekend holiday “Family Day” inserted into the shortest—and often most miserable month of the year— you’d be forgiven for packing up and flying south. But what would it take to build a log home you’d never want to escape from? Picture a custom log cabin with everything you needed for the greatest weekends of your life. If you’ve got a home, you can have a staycation. If you’ve got comfortable living spaces and a relaxing vibe—especially if you’re living in a log home—your family and friends will love to make your home their weekend destination. Cabin life is better shared…so why not?! Staycation tip: plan ahead! Get your household chores out of the way before your staycation so you can truly relax. Make a list of activities, games, local adventures you’d like to try—even movies you want to see. Stock up on easy snacks. Ask everyone to turn off their phones (or pass around a basket to collect them.) Create the feeling of a remote getaway even if you’re close to town! If you’re thinking of building a new home, keep staycations in the back of your mind as you go through the planning stages. Plan a home you’d love to hole up in for the holidays! Would you choose a log chalet with bunk rooms in the loft? 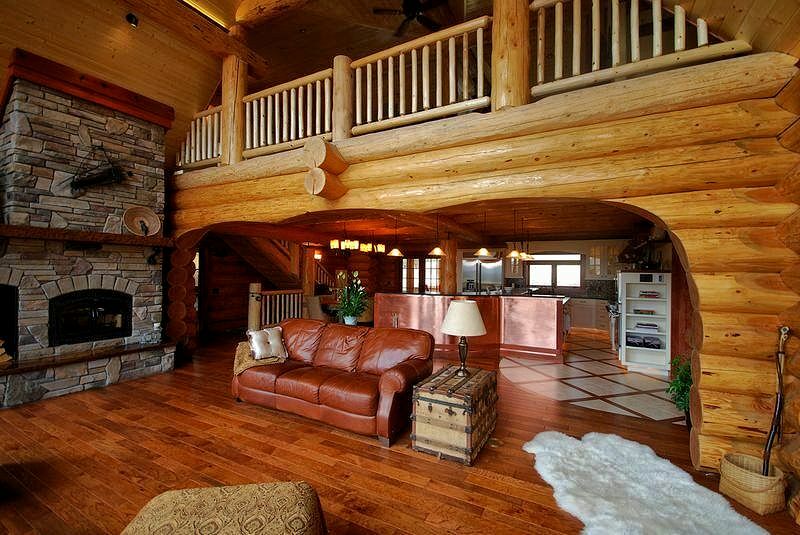 Or would you rather keep the upstairs for yourself as a luxurious rustic master retreat? Maybe you’ve got an acreage and you’d rather have a log rancher with patio doors in every bedroom to slip out and watch the stars. The raw beauty of hand-peeled log walls, warm in the winter and cool through hot summer days provide the perfect backdrop for any floor-plan you choose. The rustic character of fine log craftsmanship puts everyone at ease. No wonder you’re more popular now than ever! Gather around the fireplace in your great room as the sun goes down with a glass of wine or a cup of hot chocolate. Settle in at a rustic timber table in the dining area for a feast of everyone’s favourites. With a crowd to help with the dishes in log cabin kitchen you’ll clean up quickly and join the laughter and debate in the comfy couches by the fire. Planning for bad weather is the secret to great staycations. A stack of board games or a karaoke machine can salvage a dismal day if you must abandon your outdoor activites. Or you could incorporate a state of the art home theatre with rustic flair…and a bar into your log home plan! Music and movies even sound better with the astounding natural acoustics in a log home. With a hot tub on your deck you watch the snow fall or listen to the rain knowing your handcrafted log cabin home will shelter you in extreme weather. You’ll be safe and sound when you step in the door, no matter what it’s like outside. Only your imagination and your budget limit what you can create inside your log home. You’ll look forward to staycations now like you used to anticipate vacations! 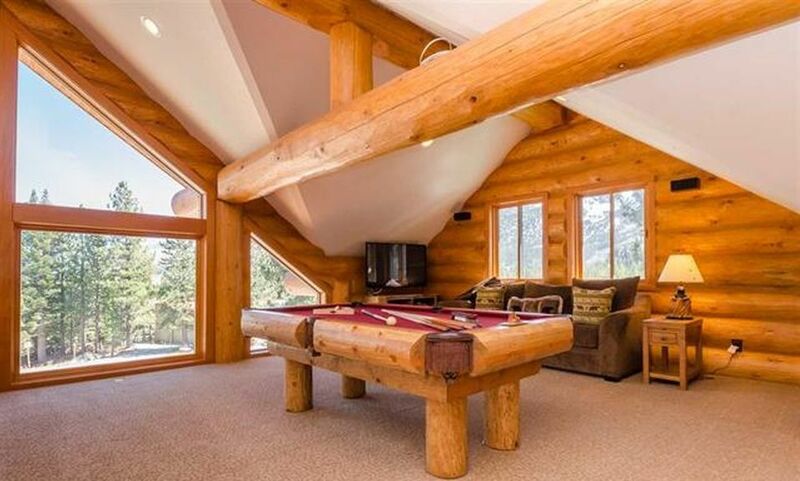 We once built a log home with a bowling alley inside. (Seriously!) What about a putting green? A shooting range? It’s up to you. More simple tastes? Line framed interior walls with book shelves and set deep cozy chairs in front of a fireplace for the perfect log reading room or library. Use a finished basement or extra loft space as a games room. If you’re leaning toward rustic luxe, imagine a home spa surrounded by natural elements like logs and rock. Set aside a space in your custom log cabin for soothing your tense mind and body after a stressful week at work. Or use this space for a ruggedly refined wine cellar! 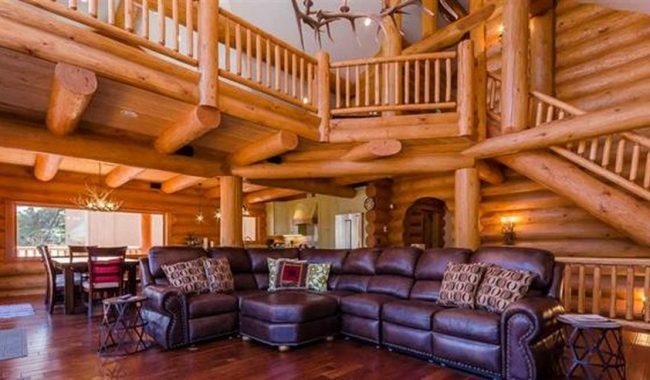 What about a log man cave where you can show off all the hunting trophies your wife won’t let you put anywhere else in the house? Watch the game on the biggest TV you can fit inside with anyone who shares your sporting tastes. 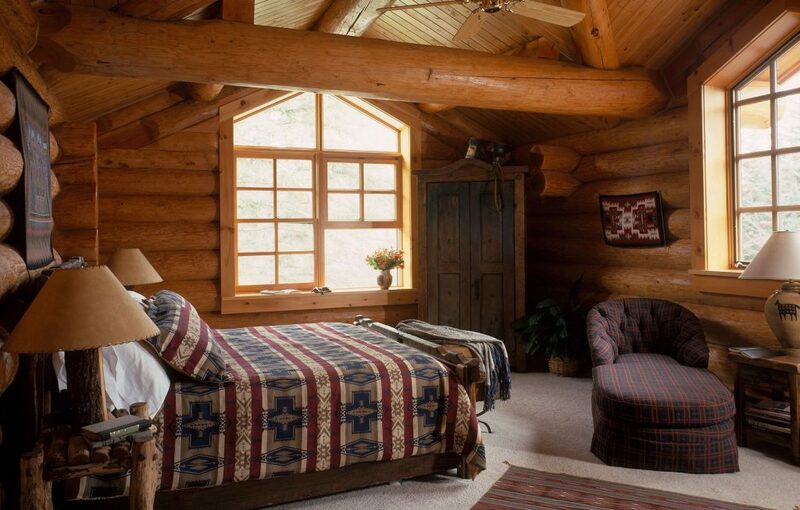 Not everyone wants the same log cabin, and that’s why custom log homes simply work best. And speaking of simple: sometimes less is more. A simple log cabin in the woods or any other place you love to be can be the perfect home base for outdoor adventures and enjoying the true joy of solitude—or companionship. When you plan your custom log cabin, take time to picture your favourite escapes and try to include a few of these ideas into your home. Imagine waking up every morning exactly where you wanted to be! Come home to the custom log cabin of your dreams and staycations that everyone will remember for years to come!